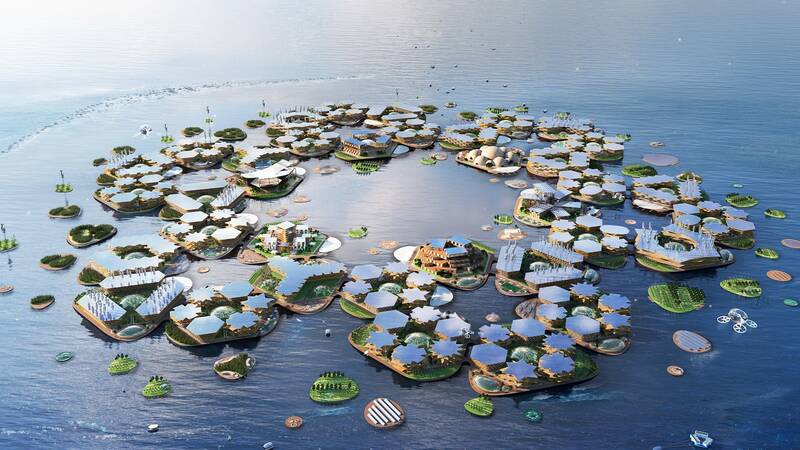 Are floating cities the solution to sea level rise and global housing shortages? Oceanix CEO Marc Collins notes that his company’s concept centers on eventual mass manufacturing of the basic floating units, which can then be towed anywhere in the world, offering the same economies through manufacturing efficiency that so deeply cut the cost of everything from furniture to solar cells. Why This Matters: Even if we rapidly act to curb our greenhouse gas emissions, we will still likely experience sea level rise for centuries to come. This means that over 1 billion people are at risk from rising seas and in most places, this means that expensive and densely populated housing will become even more scarce. While some might dismiss Oceanix’s vision as far-fetched, the company stressed that building floating cities will take the support of governments to make sure these places are equitable and not just a place for the rich to shelter themselves. With the future of our planet so uncertain, we can’t rule out this idea.